The Hayes Symphony Orchestra was formed in 1947 and is registered under the name of ‘Hayes Orchestral Society.’ An Annual General Meeting is held each year to which all players are invited. We attract players from all over South East London including Croydon, Bromley, Beckenham, Crystal Palace, Sydenham, Hayes and West Wickham. The recipient of the George Hurst Conducting Prize from the Blackheath Conservatoire, Dan has worked with orchestras from both the UK and abroad. He began his conducting studies under Andrew Morley, later working with Sian Edwards, whilst studying at the Guildhall School of Music and Drama, and most recently with Denise Ham. A member of the professorial staff at Junior Trinity, Dan conducts a number of the colleges string orchestras. He has performed with them in such prestigious venues as Cadogan Hall, LSO St Luke’s and St John’s Smith Square, as well as broadcasting on national radio. Dan has also worked with orchestras including the Brighton Youth Orchestra, Musicians of All Saints, Greenwich Sinfonietta and in 2014 he was invited to Africa to conduct the National Musicamp of Zimbabwe’s orchestra on their 50th anniversary course and concert. 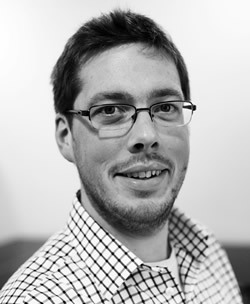 He served as assistant conductor for the Shipley Arts Festival production of Brittens “Noyes Fludde” and has been principal conductor of the Brighton and Hove Junior Youth Orchestra since 2009. After graduating from the Guildhall School of Music and Drama, Lynn continued her studies in America at the Brooklyn College of Music and the world famous Summer School in Aspen Colorado. 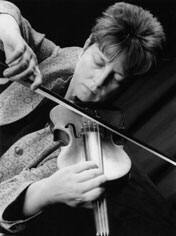 She played in Orchestras in the Americas and Iceland before returning to London to set up a hectic teaching practice. As well as teaching in various schools, she has a large private practice and regularly runs her own courses, such as “Fiddlesticks!” (a junior orchestra in Wimbledon), “Sounds Together” (children’s chamber groups in Sydenham), and “Semiquavers” (music classes for the very young). Hayes Symphony Orchestra would like to give thanks to our previous conductors Paul Showell, Benjamin Ellin and Steven Moore who have worked with the Orchestra for a number of years. We wish them the best of luck for their future engagements.